One-on-one personalized and customized for your success! 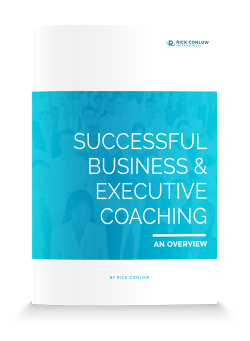 After coaching over 500,000 managers worldwide in many different industries, Rick Conlow knows that one-on-one coaching makes a difference in a manager’s career success as leaders. Are you getting pressure to achieve better results from your boss? Do you desire a promotion and a higher income? Do you know your team can do better but they are under-achieving? Do you need to improve your leadership skills based on others feedback? Do you want to recapture your excitement for your career and ramp it up? Do you know you can be a better leader but you just aren’t getting the help you need? Are you committed to being more effective and want to improve your confidence and competence? If you answered YES to one or more of these questions, coaching can help you get where you NEED or WANT to go? The 68-question Superstar Leadership Assessment and action planning guide. Two monthly one/one coaching calls-45-60 minutes each. Access to the membership site for the Superstar Leadership Video Training Series: 12 high-powered 40-60 minute in-depth leadership training videos that coincide with the book. You will begin receiving these the second month of enrollment. Weekly leadership tip email or post. Investment: One-time payment of $2,500 or $497/month for six months. Click here for 6 payments over 6 months! One 360 Degree Leadership Assessment, One Powerful Proprietary Personal Self-Inventory and a Personal Development Action Planning Process. Weekly one/one phone coaching calls as needed-30-45 minutes each. Two quarterly face to face coaching visits, 1-11/2 hours each. Access to the membership site for the Superstar Leadership Video Training Series: 12 high-powered 40-60 minute in-depth leadership training videos that coincide with the book. You receive this the second month of enrollment. Billed monthly, plus travel expenses if incurred. 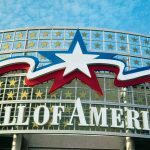 Note: Introductory phone consultation call required as the first step is to establish parameters and synergy for a potential working relationship. RCI will send their confidential coaching questionnaire and partnership agreement in advance for you to outline your goals for development. We will review this on the call. Rick will provide you the personal support, objectivity and constructive feedback that you need to achieve success. Whether your goals are to build up a new team, motivate an existing team, get a promotion, re-energize your passion about your work, accelerate your success as a leader or learn new leadership skills; Rick’s coaching will be focused on your needs and goals. Their proven principles of effective coaching will be applied to your situation to help you achieve agreed upon objectives and results. Engaging coaching for personal performance development is a key differentiator between winners and losers. Too many managers, as the research suggests, continue to make the same mistakes in one job after another. Too many are unwilling to invest in themselves at the expense of their careers and their family’s well being. It doesn’t have to be that way so why not get the help? A good coach in sports is invaluable to players’ success, the franchise’s financial health, and the team’s winning ways. Coaching in business is similar in some ways but with a significant difference. Business coaching is a strategic partnership in which the coach guides the partner to clarify goals, create action plans, move past obstacles, and achieve crucial results. The coach serves the partner with a focus on possibilities, constructive guidance, new thinking and accountability. 40% of Fortune 500 companies and up to 60% of all companies hire coaches to help their managers do a better job of leading. Companies realize a 500% ROI-return on investment; and this makes a huge difference in a managers business career and personal life. 98.5% of coaching clients said their investment in a coach was well worth the money. Who, exactly seeks out a coach? Winners who want even more out of life. A study which compared training alone to coaching and training found that training alone increased productivity by 22.4% & training plus coaching increased productivity by 88%. Which of these results do you want? TO ACHIEVE YOUR GOALS AND A BREAKTHROUGH IN YOUR LEADERSHIP SUCCESS! I consent to Rick Conlow collecting my details through this form. Sign Up Now & Receive a FREE Copy of our eBook! Sign up to subscribe to our mailing list and receive a copy of Creating a High Performance Team! Success! 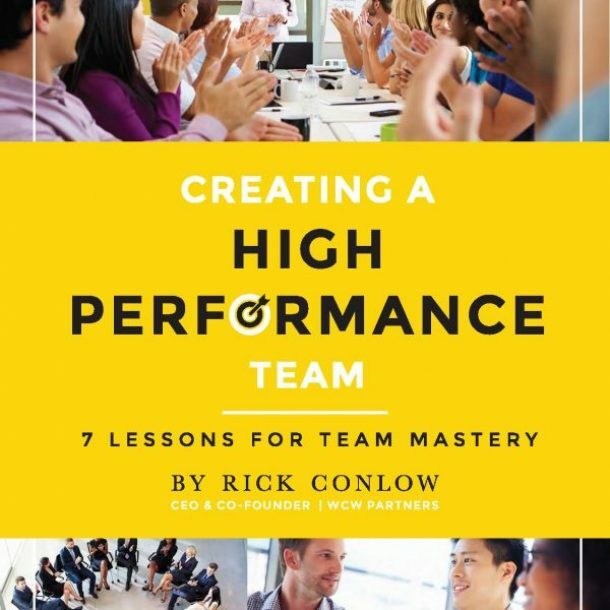 Check your email to download your copy of Creating a High Performance Team!